I was 20 years old when Elvis Presley died and a young woman living in South Africa – just starting out on my career. I loved his music all through my teen years and it formed the back drop to my life at that time. Blue Suede shoes was the song I learned to dance to; Are you Lonesome Tonight? was the anthem to my first heart break; In the Ghetto was a great favourite that helped make sense of the drama and so called tragedy of my sisters teenage pregnancy. It’s probably true, as I look back that Elvis’ songs provided the story line to my young life. 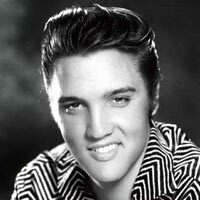 Elvis Presley passed away on August 16th 1977 – and I wondered who he was born to be. What was it in Elvis’ SolePath that contributed to his life, his success and then to the way that it all came crumbling down?